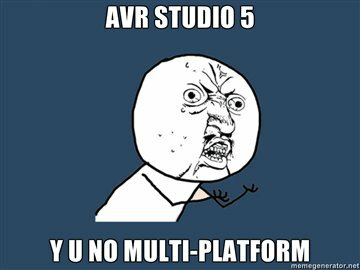 Atmel Studio is available only for Windows users. Alternatively, you can use any liked text editor with some utility to build the project. Atmel Studio uses the make utility to build the project and generate makefile file for this. In general, the makefile can be written by hand, but it seems to me very uncomfortable and unwieldy. I also tried to use other build systems (cmake, scons etc.) but the results I also didn’t like. I wanted to have a very simple, user-friendly and flexible tool for building projects. As a basis I took the Python language, because it is easy to use, not only for writing the build system, but also as a convenient language for describing the configuration of the project. There are many commercial soft to extract resources (images and sounds etc) from flash SWF files. There is also a free crossplatform console toolset for compile and decompile SWF: swftools. In particular, this package includes tools swfextract и swfdump to extract resources from the SWF and decompilation SWF files with getting list of elements with dumps. The disadvantage of these tools is that the first one can't automatically extract all resources from a file and the second can't store hex-dumps to binary files. Optimization of image files to reduce their size without loss of quality is especially important when developing applications for mobile devices, Web applications or Intertet-sites. To reduce the size of png-files there is a good free command-line utility - PNGOUT. This utility is repacked the data in IDAT-chunk (data chunk that contains information about all image pixels), can automatically reduce the color depth (where it makes sense) and remove from package some chunks that are not necessary.